Recently, the hashtag #YesAllWomen opened up as a forum for people (mostly women) to discuss misogyny in our society. People got to see women's issues on the forefront of social media. Every tweet, picture, or post voiced real life examples of misogyny. Some are blatantly sexist. Some are subtle. All are eye opening. 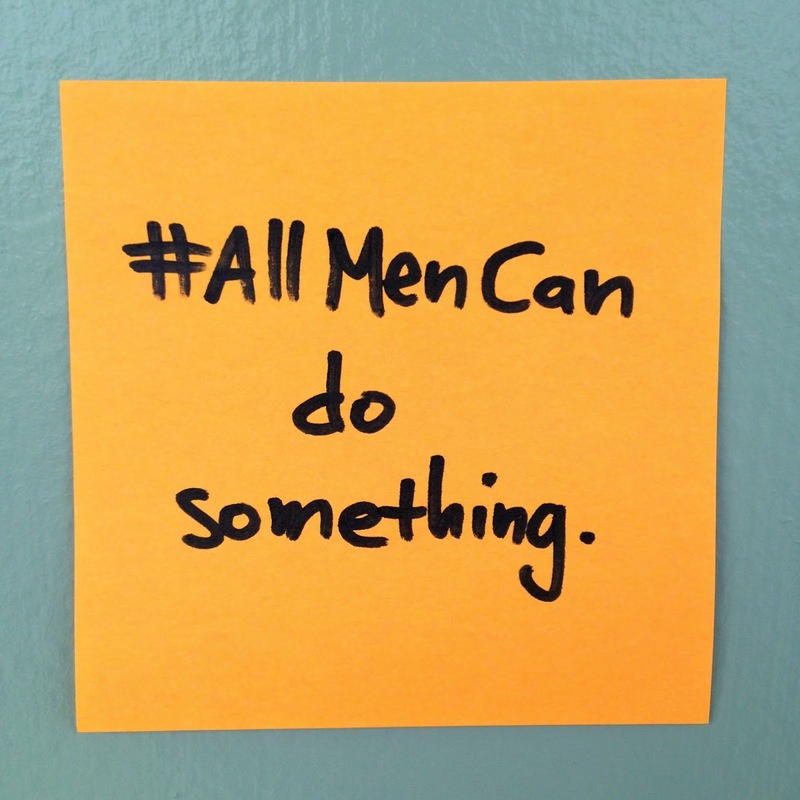 While #YesAllWomen exposes the issue, #AllMenCan has arisen as a forum for guys to, not just speak out against misogyny, but also send proactive messages about what can be done about it. Below are just some examples. Feel free to join the conversation. A big shout out to BuzzFeed for featuring our tweets. Friedersdorf, Conor. "Normal Violence in a Murder Spree." The Atlantic. Atlantic Media Company, 25 May 2014. Web. 14 June 2014. <http://www.theatlantic.com/national/archive/2014/05/women-react-to-a-murder-spree-at-ucsb-with-an-airing-of-grievances/371568/>. Plank, Elizabeth. "35 Men Show Us What Real Men's Activists Look Like." PolicyMic. N.p., 31 May 2014. Web. 12 June 2014. <http://www.policymic.com/articles/90079/37-men-show-us-what-real-men-s-activists-look-like>.